Broadcasters’ bias against Donald Trump is “unbearably unprofessional”, Bild’s former editor-in-chief has said in an interview in which he berates the German media as out of touch. Hans-Hermann Tiedje, chairman and primary shareholder of communications consultancy WMP Eurocom AG, blasted German broadcasters’ coverage of President-Elect Donald J. Trump as “catastrophic”. Watching television stations ARD and ZDF on election night, Tiedje said he found the “depravity” and lack of professionalism from journalists to be “unbelievable”, recalling: “With every figure and every piece of information reported, they displayed their disappointment and horror”. Desperate to find a scapegoat to blame for Trump’s victory, the media insider told meedia.be that journalists “first scorned the pollsters, and then our commentators maintained that Trump voters were all stupid, old, white men, which is nonsense. In the media’s eyes Vladimir Putin is “the bad boy who can be blamed for everything”, Tiedje explained, adding that this has now extended to the Russian president’s having been responsible for Trump’s electoral victory. He said: “And recently, the same commentators are claiming Putin will be able to swing the election against [Angela] Merkel, in favour of [Social Democratic Party minister] Sigmar Gabriel. “This is better comedy than [German satirist] Böhmermann”, he added, comparing journalists’ “miserable” reporting on world events with the anti-Trump television presenter and comedian. The former talk-show host said it’s not just on the subject of Trump that Germany’s media is out of touch, describing as “peculiar” the composition of studio guests invited onto talk shows. 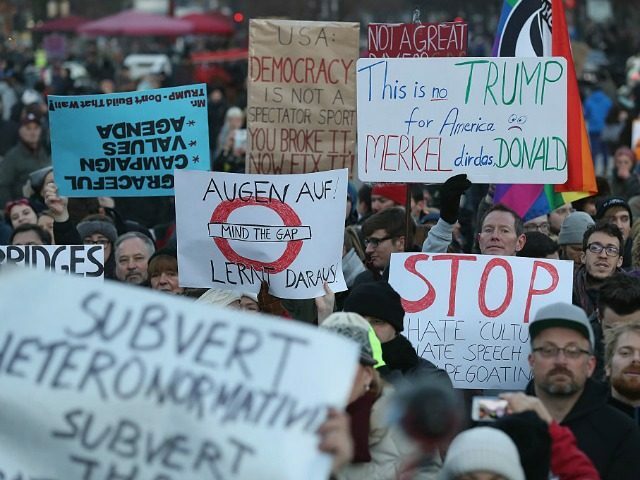 “Assuming that polls are correct, two-thirds of Germans no longer endorse a ‘welcome culture’ [approach to asylum seekers and economic migrants], yet this is never reflected in the guest selection of these programmes,” Tiedje said. Figures who are critical of mass migration almost never appear on television, the veteran journalist noted, and suggested the reason for this is that the views of such writers “probably disturb most of the political journalists working in television”. The media’s “selective choice of guests” is part of a wider problem in which “the political elite correlates with the media elite” Tiedje said, resulting in a situation where he said it’s “no wonder that many audiences and thus voters no longer feel they’re being taken seriously. “The media must ask themselves why consumers are increasingly inclined to get their news from the Internet, to the detriment of print, radio, and TV,” he remarked.